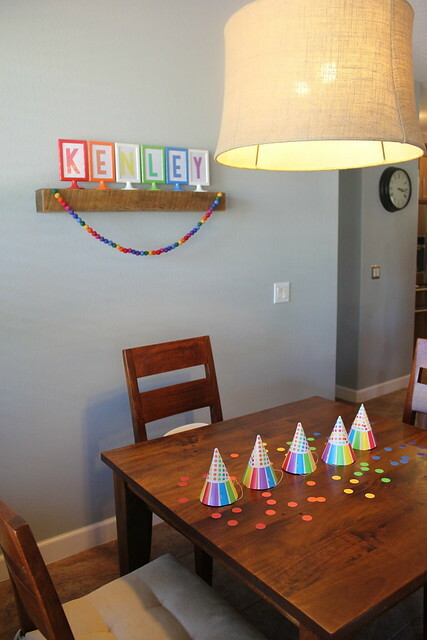 We celebrated Kenley’s third birthday in a colorful way. 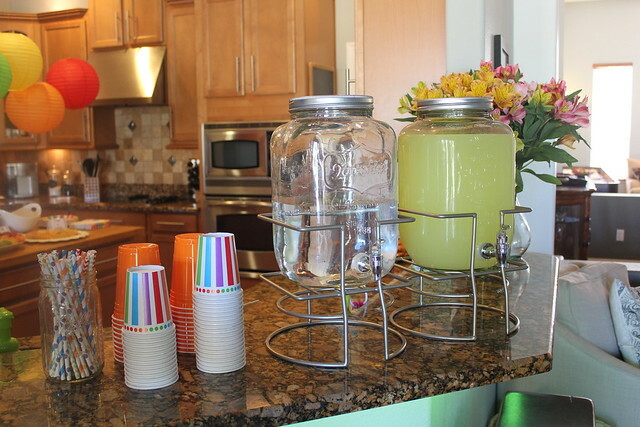 I had so much fun looking for decorations and planning this party. I cannot tell you how many times I said “ROY G BIV” in my head over the course of the process. 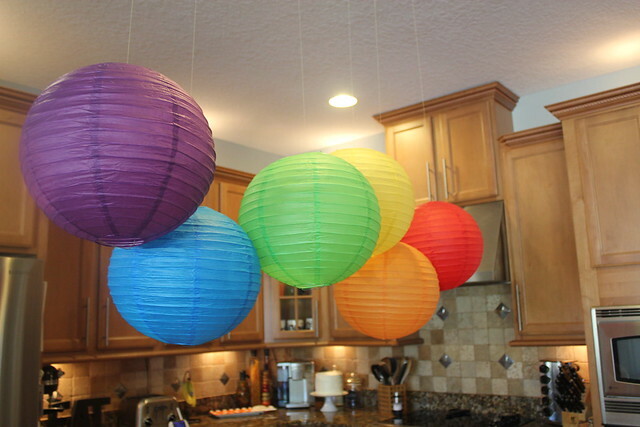 Paper lanterns and tissue poms are from Just Artifacts. 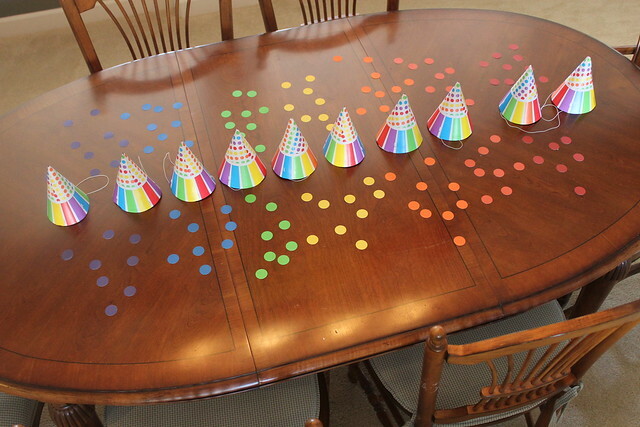 I made the confetti with card stock and a circle punch, super easy! 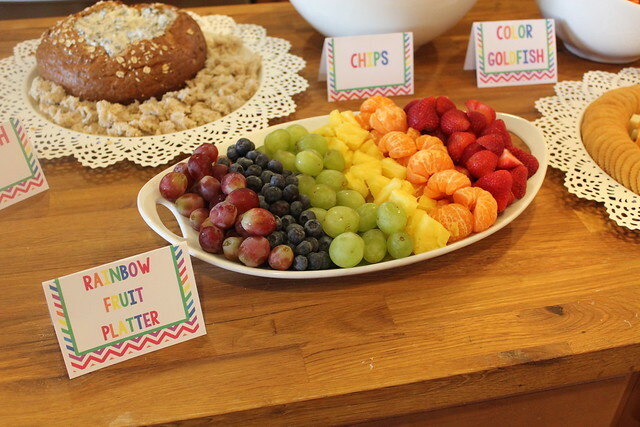 The rainbow fruit platter was one of my favorite things to do. Food cards and the invitation were made by Michelle at This Grey House. 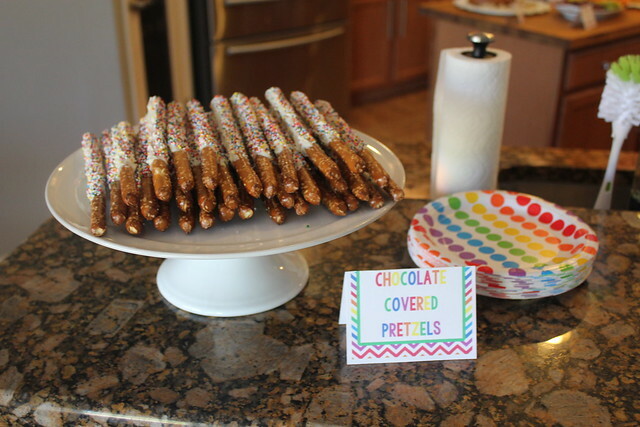 I made the chocolate covered pretzels with rainbow sprinkles. 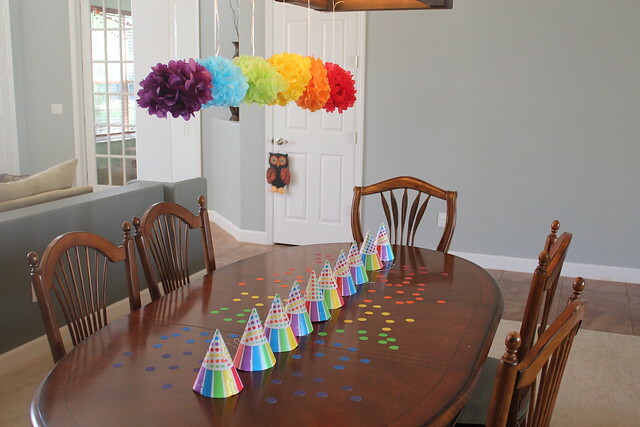 All of the paper products and party hats are from Wal-Mart. I ordered everything online with free shipping. 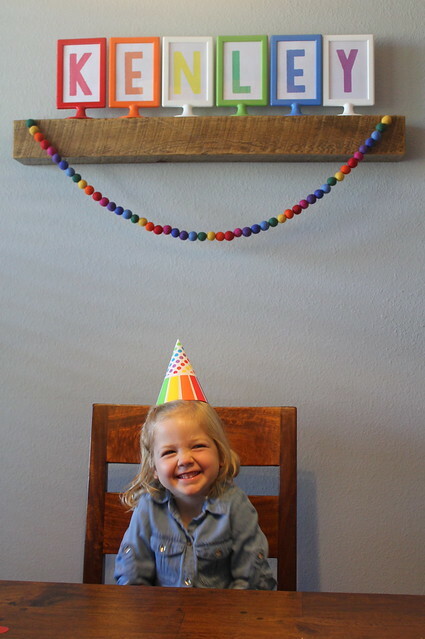 The frames are TOLSBY from IKEA and I made the garland from felt balls from Brickyard Buffalo. 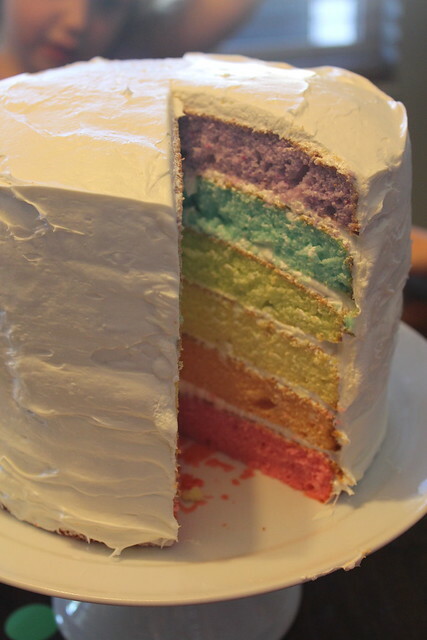 I am very impressed with ourselves for pulling off the rainbow cake. I got very specific instructions from Heather on how to go about the cake and her instructions were spot on. It was a joint effort, but Greg did most of the work. I just love how pretty is looks and how yummy it was! 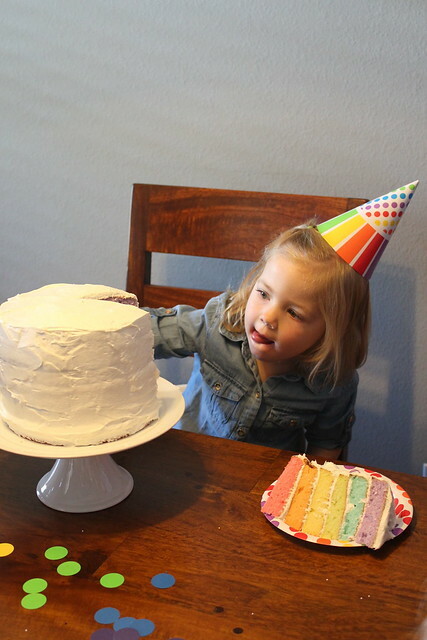 We had such a fun time celebrating Kenley’s third birthday! Thanks to everyone who celebrated with us! I have been anticipating this post! 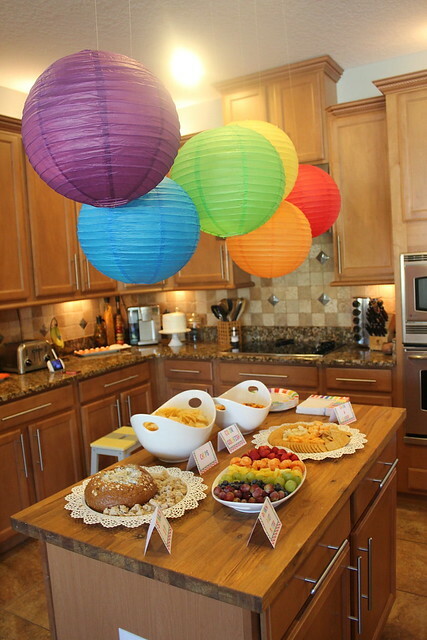 Everything looks SO CUTE — what a fun theme and executed to perfection! especially the cake – love love love! Love this – awesome job Mama! Your cake turned out amazing! Much better than my 4th of July cake a few years ago… It was so wobbly! Happy third birthday Kenley! What a party & what a CAKE! I think you and Greg could go in business!